Call or email for pricing on other applications. Using Nitrogen Gas instead of air during installation provides more stable tire pressures. Nitrogen is available at an additional charge. Send in your resume and info to be considered for a race support discount. Send info to andylagzdins@yahoo.com or mail in. Burbank, Ca – Longtime East Coast based motorcycle and ATV performance shop DirtFirst Racing has officially opened their service center in Burbank, California. 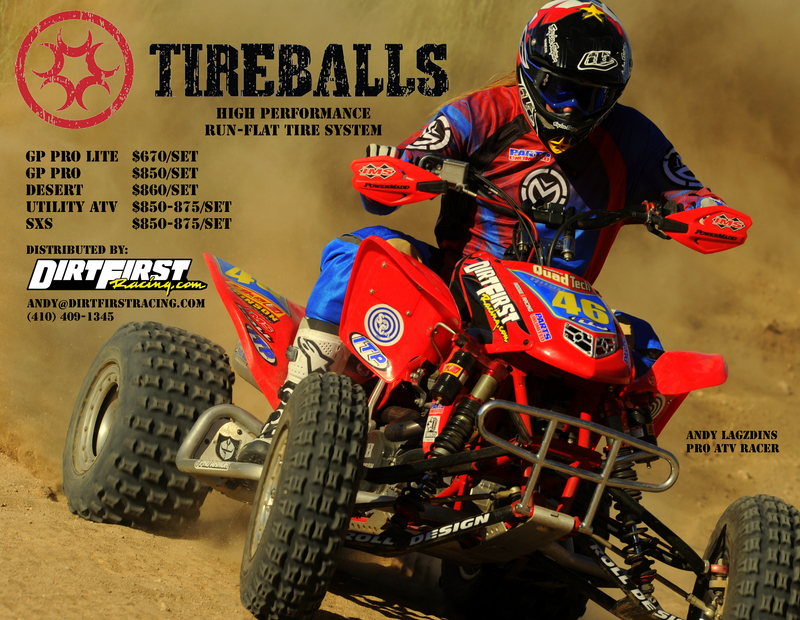 In addition to providing race prep services for motorcycles and ATV’s, DirtFirst Racing is now an authorized west coast Tire Ball® distributor. DirtFirst will be a stocking Tire Ball® dealer for motorcycles, ATV’s, and SxS’s, as well as performing Tire Ball® installations. DirtFirst had been a distributor for The Tire Ball® Company in their Maryland location since the product debuted in 2003. The Tire Ball® Company’s headquarters is located in Kentucky- central to the popular GNCC Series, where the Tire Ball® product was initially developed. “The advantages of having a reliable service center in the Southern California area are obvious- quick turnaround of sales and installations of Tire Balls in the center of one of the nation’s largest markets,” states The Tire Ball® Company President Erik Evans. 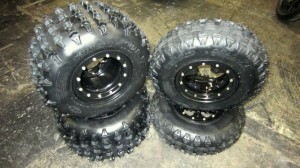 Tire Balls have grown in popularity on the West Coast, being used by top teams in prestigious racing series such as WORCS, Best in the Desert, Score International, and AMA National Hare and Hound. In addition to supporting the Sport ATV and SxS markets, DirtFirst Racing will continue handling military and government oriented installations. “DirtFirst has been working with The Tire Ball Company since the beginning, and it’s exciting to be taking our involvement to the next level,” says DirtFirst Racing’s Andy Lagzdins. “Our familiarity with how the product works in brutal racing situations helps us assemble bulletproof tires for other high-demand applications.” DirtFirst has prepared Tire Ball®-equipped tires for machines that have won multiple National Championships and International events.